Hyderabad, Aug 13 (PTI) The Andhra Pradesh government has stepped up vigil to prevent spread of swine flu in the pilgrimage places of Tirupati and Puttaparthi in the state. Principal Secretary (Health) L V Subrahmanyam told reporters today that the government has issued instructions to the officials to check the spread of the virus at Tirupati and Puttaparthi, the abode of Sathya Sai Baba, where massive congregation of devotees take place. Government hospitals in Tirupati have been equipped to admit patients, while efforts have also been initiated to prevent the spread of the virus at Puttaparthi, where large number of foreign devotees visit, he said. ANANTAPUR: The State Government has directed the district administration to take steps to prevent the spread of swine flu. PUTTAPARTI: Meanwhile, a separate ward to treat people affected by swine flu has been set up in the superspeciality hospital in Puttaparti, it is reliably learnt. The hospital management has written to the district medical and health department requesting it grant permisssion for the special ward besides placing an indent for medicines. Puttaparti is on a high alert as a large number of foreigners visit the Prasanti Nilayam for darshan of Sathya Sai Baba. An emergency meeting was conducted yesterday to discuss the steps to be taken in the event of detection of some positive cases. ‘We have in our country a long but uneven tradition of philanthropy’. Thus lamented Sonia Gandhi at the function in Delhi to give the Indira Gandhi Prize to the American philanthropist Bill Gates. That was on July 25. Two days later, the Wall Street Journal printed, unusually, her whole speech. On July 29, Paul Beckett, a WSJ columnist, taking his cue from Sonia, mocked Indian businessmen for not being even remotely close to matching Gates. He pontificated: “India’s rich, open your wallets”. Beckett used corporate India to dent the image of India itself, courtesy Sonia. Had she not spoken the way she did, he would not have written the way he did. What Sonia did not know — therefore, Beckett, who borrowed from her, could not — is what differentiates India from the US. American corporates, which almost exhaust America, are co-extensive with it; they account for over 80 per cent of its GDP. Bill Clinton had nicknamed the US ‘America Inc’, namely, the US as the aggregate of its corporates. US corporate endowments aggregated are highly visible, like their brands. This is to emphasise their nature; not undermine their worth. The US market cap is some 40 times the Indian. Corporate India is insignificant in contrast. Some 400 top private Indian companies account for under six per cent of India’s GDP. This includes all Sensex members. Sonia is understandably unfamiliar with the practices of traditional India. Indian charity, widely practised at the lowest unit levels down to every home, is socio-religious, not secular, in construct. Traditional India has high charitable propensities and deep philanthropic impulses. Indian religions do not convert others; their charity is therefore less known. Here are some examples of charity where the religious power is manifest. Look at the charity run by Bhagwan Sathya Sai Baba of Puttaparthi. His work for the poor is unmatched; yet equally unknown. Here are just two illustrations of his work. Anantapur district in Rayalaseema region of Andhra Pradesh was known for water scarcity and water salinity and high fluoride levels in drinking water. 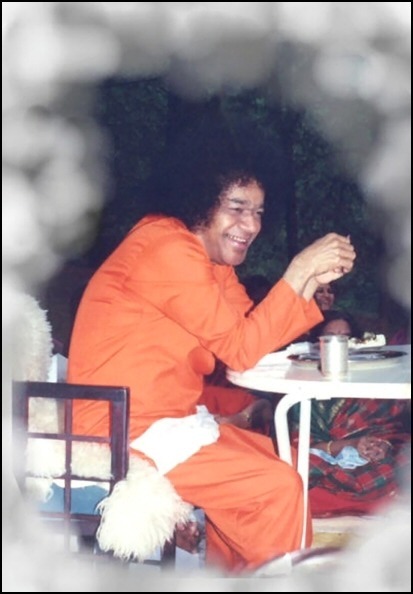 Moved by the suffering of the poor, Sathya Sai Baba decided to do what the government could not for 50 long years; provide potable drinking water to the whole of Anantapur — yes, for the whole district. He declared in November 1995, “Today it is ‘Raatlaseema’ (rocky region); it must be transformed into ‘Ratnala Seema’ (land that glitters like diamond)”. It took just 18 months. The work involved laying some 2,000 kilometres — yes 2,000 km — of water pipeline; building 43 sumps of 1.5 lakh to 25 lakh litres capacity; constructing 18 balancing reservoirs of three to 10 lakh litres capacity — where? — on top of hillocks; erecting 270 overhead reservoirs holding 40,000 to three lakh litres; installing 1,500-plus concrete pre-cast cisterns of 2,500 litres capacity, each attached with four taps for people to draw water. This is how the 9th Planning Commission document describes the initiative. The Sathya Sai charity ‘has set an unparalleled initiative of implementing on their own, without any state budgetary support, a massive water supply project with an expenditure of Rs 3,000 million to benefit 731 scarcity and fluoride/salinity affected villages and a few towns in Anantapur district in 18 months’. Sathya Sai Baba’s trusts repeated this feat in fluoride-affected Medak and Mehboobnagar districts. They provided water to some 4.5 lakh poor in 179 villages in Medak, and to some 3.5 lakh poor in 141 villages in the next. The drinking water projects in these districts covered more than 1,000 villages with some 20 lakh people. Then, he saw the poor in Chennai struggling for water. Sai Baba declared on January 19, 2002, “Today I have made a new resolve. Madras is suffering from acute shortage of drinking water. The rich can buy water. What will the poor do? I have decided to work towards bringing drinking water to Madras, no matter how difficult and how costly the task”. His central trust took up the construction of a 63-km stretch of the 150 km canal in the Telugu Ganga scheme, left incomplete for want of funds, thus denying water to Chennai. Thanks to Baba, Krishna water reached Chennai, irrigating some three lakh hectares of agricultural land on the way. These projects cost over Rs 600 crore. 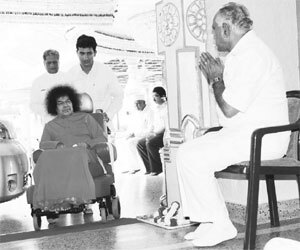 The Sathya Sai trusts in Puttaparthi and Bengaluru run world-class speciality hospitals. They have performed some 24,000 cardiac surgeries, 34,000 cardiac cathertisations, 7,000 neuro surgeries, 40,000 eye surgeries, and 600 orthopaedic surgeries and treated millions more — all free. What is absent in these two hospitals is a billing department. The bill for these services might exceed Rs 1,000 crore. Sathya Sai Baba’s trusts also run free educational institutions, cultural centres and music colleges. Secular India generously released a stamp to note the charity in Anantapur. Compare it with the Indira Gandhi award to Gates and the encomiums at the cost of India. Take another religious charity, the Ramakrishna Mission. It runs 197 hospitals and its health-related work serves 85 lakh people annually, including 25 lakh in rural areas; 1,186 educational institutions serve 3.4 lakh students including 1.24 lakh in rural areas. Take the Swaminarayan movement. Its 14 hospitals serve over six lakh patients annually; it runs 10 schools, eight colleges, 14 hostels; it has built 55 schools in disaster-hit areas; it aids 20 schools financially; gives 5000 scholarships annually. In Punjab, not a single man, woman or child would have gone hungry in the last three centuries, thanks to the langar in Gurudwaras feeding millions every day. Jains run huge charities all over the country. So do religious Muslims and Christians. Even the freedom movement was sustained by philanthropy. Lala Lajpat Rai gave all his properties to the movement; Chittaranjan Das and many others went bankrupt funding the movement. They never expected any Indira Gandhi Award. That is real philanthropy. Traditional Indian business communities allocate a fixed share of their turnover for charity. The mahamai, an informal charity tax among the Nadars in Tamil Nadu has funded hundreds of the community’s educational institutions. The Nagarathars in Tamil Nadu too, through their mahamai, run huge charities. The Marwaris and others do so through the dharmada. Even today this informal system prevails in non-corporate business in India. So charity is by the community as a whole, not by individuals. But corporate India is unfortunately neither Indian nor American. This is India, about which Sonia is singularly ignorant even after 40 years of domicile. When she said India has an uneven tradition of philanthropy it only exposed her ignorance, besides exporting it to the WSJ. The result? The WSJ is preaching to Indians about charity; the Indian media reports this nonsense without challenging it. QED: To talk about Indian traditions, she first needs to know about them. A Gavaskar confidante explained that the Little Master revered Baba because he got inspiration from him to do the right things and keep away from the wrong things, to anticipate the grey areas and steer clear of them, meet the right people and go in the right direction. Gavaskar also said he missed his fans on the occasion and thanked all of them for their greetings and good wishes. “What attracted me to Puttaparti today was the presence of Baba and his teachings of peace and love,” he added. Gavaskar related an incident about the Vibhuti (sacred ash). “We were in Australia and in one of the tour matches, I slipped and tore a thigh muscle. The local state team’s physiotherapist examined me and announced that it would take about three weeks of therapy and one more week of training before I would be able to play again. New Delhi, July 10 (IANS) Legendary Indian cricketer Sunil Manohar Gavaskar turned 60 Friday and spent the day at the Satya Sai Baba ashram in Puttaparthi near Bangalore. The little master was accompanied by his family members, including brother-in-law Gundappa Viswanath with whom he has shared many Indian innings. Gavaskar burst onto the international scene in the away series against West Indies in 1971, aggregating 774 runs in four Tests. That saw the beginning of a sparkling career as he went on to become the first player to cross the milestone of 10,000 runs in Test cricket. Indian media Friday was full of glowing tributes paid to Gavaskar by his contemporaries, some of the greats of the game who played alongside him. Gavaskar’s huge contribution to the game and especially to Indian cricket was acknowledged by both his colleagues and the current crop of players. Sachin Tendulkar, who idolized Gavaskar in his growing up days, led in paying the tributes, calling Sunny an “institution” in himself and one who fired the imagination of cricketers not only of his generation but later too. Tendulkar, who broke Gavaskar’s record of 34 Test centuries, said he was privileged to have shared some great moments with the legend and has learnt many aspects of the game from him in every step of his career. Former India skipper Ajit Wadekar, who led India to a historic victory against the West Indies in Gavavaskar’s debut series in 1971, recalled how the opener had shown gumption and played a stellar role in the tour. “Sunny was made of legendary stuff. He is India’s greatest batsman,” Wadekar said. Gavaskar’s contemporary and another great of the game, Clive Lloyd, too, said the 1971 series heralded the arrival of a star. “I saw all those runs from a very close quarters. The talent aspect highlighted my first impressions of him. I admired his concentration skills and the ease with which he played,” Llyod said. Thirteen of Gavaskar’s centuries came against the West Indies’ fearsome pace attack. The audacity the little master showed in facing the fire from the West Indian quickies without a protective headgear made him one of the most admired opening batsman. “Thirteen hundreds against the West Indies is no mean feat. It was always a challenge to play against him because of his sheer skills,” said Lloyd. It was against West Indies in the 1983-84 series at home that Gavaskar surpassed Sir Donald Bradman’s record of 29 Test centuries. Gavaskar, the perfect copy-book executioner, scored 10,122 runs from 125 Tests in a career spanning 16 years. He was part of the 1983 World Cup winning squad and later led India to victory in the World Championship in Australia. India’s various cricketing icons wish Sunil Gavaskar on his 60th birthday and share some unforgettable memories. As one of India’s favourite son, ‘Little Master’ Sunil Gavaskar, turns a milestone today, his former colleagues wish him all the best. We are all celebrating his birthday at Puttaparthi, seeking the blessings of Saibaba. All the family members have gathered here. I personally wish Sunny a very happy birthday. I wish Sunny, who scored many tons in cricket, a complete a century in his real life. He is a true legend. I think the whole life will not be enough to discuss his exploits. I feel blessed that I had the opportunity to play alongside him. We played top level cricket together for over a decade and a half. It was pure joy to watch Sunny handle the finest of the fast bowlers. I don’t remember if there was any bowler who could really trouble him. He was a truly gifted cricketer. It is very difficult to single out a particular innings of the great man. But if I were to mention two of his special knocks, I think it would be the hundred he made in Manchester on a grassy wicket and his 221 at Oval when India came nine runs short of making history. The greatest aspect of Sunny is that even after 22 years of hanging up his boots he continues to be the role model he was. He is the true blue icon. He is highly respected everywhere for the simple reason that he has been a disciplined person all through his life. There was a time when people feared facing the West Indies pace battery. And that was the time when Sunil shattered the myth. His extraordinary batting skills as an opener, who could unnerve the fastest of the lot, Sunil scored most of his centuries against the West Indies. It is not ironical that with 13 centuries against the West Indians he puts to shade the six tons scored by English opener Len Hutton. I remember, as the captain of the historic squad, we all were praying in the dressing room that Sunil should not score a century on debut. That was because Indian batsmen were caught in the Test debut jinx till Gundappa Vishwanath came along. It was an honour to play along side a living legend. I remember an innings in Adelaide when I partnered him as a tail-ender and helped India avoid a defeat. When I look back, I feel it was my good luck that I played with the finest of the cricketers in Sunny and Vishy. I never had the opportunity to bowl to Sunil Gavaskar, one of my childhood heroes, in big matches. But I remember I bowled to him in some exhibition matches. I think he was the most difficult batsman to get out. Thank God, I got the chance to play with him and bowl to him. Mumbai (PTI): Legendary Indian cricketer Sunil Gavaskar on Friday celebrated his 60th birthday by paying a visit to Sathya Sai Baba at his ashram in Puttaparthi near Bangalore. Gavaskar was accompanied by his entire family and Gundappa Viswanath, his brother-in-law, on the visit. The first batsman ever to reach 10,000 runs in the history of cricket, Gavaskar had a distinguished career adorned with many landmarks. Playing with his bat very close to his pads, Gavaskar was the epitome of copybook batting as he scored 10,122 runs from 125 Tests with a then record of 34 Test tons in an international career spanning 16 years. The diminutive cricketer-turned-columnist and commentator was also the first batsman to surpass Sir Donald Bradman’s 29 centuries in Tests, an achievement which acquire more significance as it came in the era of tearaway West Indian bowlers. He and Viswanath were the backbone of the Indian batting line-up when the batsmen were not protected with modern-day protective equipment like helmet and there was also no restriction on number of bumpers that could be bowled in an over. Mumbai: Legendary Indian cricketer Sunil Gavaskar today celebrated his 60th birthday by paying a visit to Sathya Sai Baba at his ashram in Puttaparthi near Bangalore. Mumbai, July 10: Legendary Indian cricketer Sunil Gavaskar celebrated his 60th birthday by paying a visit to Satya Sai Baba at his ashram in Puttaparthi near Bangalore. The diminutive cricketer-turned-columnist and commentator was also the first batsman to surpass Sir Donald Bradman`s 29 centuries in Tests, an achievement which acquire more significance as it came in the era of tearaway West Indian bowlers. get his thoughts on reaching yet another milestone. Of course, it isn’t one that Gavaskar will care much for, knowing his penchant for hundreds. The kind of ton Prof DB Deodhar hit in life, always beckons. So will it get difficult for Sunny Gavaskar to maintain the three Ds — discipline, determination, dedication — virtues which brought him massive success on the field and off it too, in life after 60? As far as eyesight goes, Gavaskar used to pride himself on having 2020 vision. That was when he got them tested in Dubai. Time has caught up. “I am using reading glasses for the last two years.” The secret of Gavaskar’s good eyesight was he never read anything in a moving vehicle. Sir Don Bradman, the Gavaskar of an earlier era, had an interesting tale on this eyesight business. When he read about praise from critics that the secret of his greatness was that he saw the ball early, Sir Don decided to check it out and tests revealed his eye reflexes were indeed slower than normal! Any grandpa stories — ones that he’s heard and ones he relates to? Gavaskar ducked that one just like he would do against a Lillee bouncer. He had had a hectic Wednesday while chairing the BCCI’s technical committee meeting and the mind was beginning to turn blank. He couldn’t even remember the incident which gave his parents an inkling of his amazing concentration which was instrumental in making him a legend. The story goes that it was mom Meenal’s task to narrate not one, but two stories every night to the young Gavaskar. But often she got so tired after the day’s chores that narrating the second tale became quite a task. It so happened that she introduced Arjuna in the mythological tale, Ramayana, only to be pulled up by Sunny about what a merry mix-up she was making. Papa Manohar said his son’s memory and recall had their genesis in the bedtime stories. Gavaskar and his badminton buddy, the late Gautam Thakkar, would take their medicals together every year. 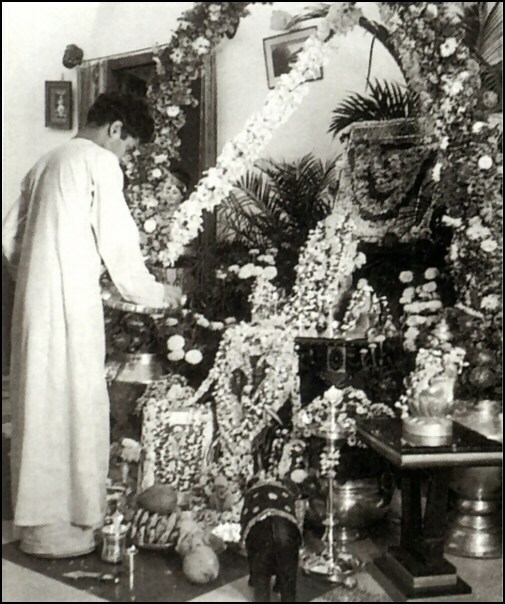 It was an unfailing annual ritual in May. Gautam’s tests were delayed the last time around. Else, the cancer that claimed him, may have been detected. When in Sri Lanka, in 1995, one had told him of a computer where words appeared on the monitor when you spoke into it. One told him it would make his task as a columnist easier. Gavaskar left that one alone outside the off-stump. Famous for penning his thoughts on a single sheet for his column, Gavaskar does use the laptop these days. When you age, your temper tends to get the better of you. So who bears the brunt of his anger these days? Wife Pammi or son Rohan? “The reflection in the mirror,” said the birthday `boy’. One age hazard that Gavaskar won’t have to worry about is being snubbed for giving unsolicited advice. Gavaskar doesn’t proffer any, unless asked. Turning 60 won’t change his hectic lifestyle. Because Sunny Gavaskar won’t behave like a 60-year-old. Anantapur (Andhra Pradesh): Away from the hustle-bustle of city life, Legendary Indian cricketer Sunil Gavaskar on Friday celebrated his 60th birthday in a sober fashion by visiting the Ashram of Sathya Sai Baba at Puttaparthi here. Accompanied by wife Marshniel, son Rohan and his brother-in-law Gundappa Viswanath, Gavaskar reached Puttaparthi from Bangalore this morning and attended the Bhajan in the serene ashram of Sathya Sai Baba. “I am delighted to be here. There could not have been a better way to celebrate my 60th birthday then being present here and getting Baba’s darshan and blessings. This is ultimate for me and I feel very fortunate to be here,” Gavaskar said. The former Indian skipper had a distinguished career adorned with many landmarks and Gavaskar said he doesn’t regret anything in life. “I Won’t say I regret. May be, I could have handled certain things better in life. In certain matches, if I had kept my cool and had been temperamentally good, it could have been a different thing altogether,” said Gavaskar, who was the first batsman ever to reach 10,000 runs in the history of cricket. Gavaskar was the epitome of copybook batting as he scored 10,122 runs from 125 Tests with a then record of 34 Test tons in an international career spanning 16 years. The diminutive cricketer-turned-columnist and commentator was also the first batsman to surpass Sir Donald Bradman’s 29 centuries in Tests. One of the greatest opening batsmen of all time, Gavaskar was concentration personified, who defence was almost unbreachable, making him the most prized scalp of his time. He played a stellar role with Dilip Sardesai and Eknath Solkar to help India to a historic series victory in the Caribbean under the leadership of Ajit Wadekar. The Mumbai icon, who lived by the virtue of discipline and professionalism, also showed his prowess in the one-day format, although it was not considered his forte. He was the part of 1983 World Cup winning squad and also shone in the 1987 World Cup match against New Zealand. Controversies also had their own share in Gavaskar’s career. His first visit to England in 1971 saw him collide with rival fast bowler John Snow on the pitch while taking a run and the Indian opener was sent sprawling as a result. Four years later, he scored an inexplicable 36 not out in 60 overs in the first World Cup, against England, and was reprimanded for it by the Cricket Board following an adverse report by team manager GS Ramchand. Gavaskar also showed his hot-headed streak when he very nearly made India the first country to forfeit a Test match in 1981, the dubious distinction later attained by arch-rivals Pakistan. district on Friday. About 20 family members, including his son Rohan Gavaskar, arrived in Puttaparthi late on Thursday night to celebrate the birthday fete. Gavaskar, an avowed devotee of godman Sri Satya Sai Baba, said he came to celebrate the birthday with Baba’s love, affection and blessings. “Though I have options to celebrate the day in various locations, I arrived here only to seek the blessings of Baba,” Gavaskar said. Gavaskar also said that he had achieved several goals in the field of cricket only because of Baba’s blessings. “I am lucky to celebrate my birthday in Prasanthi Nilayam,” he said. Batting legend Sunil Gavaskar celebrated his 60th birthday on Friday in solemn fashion at Puttaparthi, the abode of Sri Sathya Sai Baba, in Anantapur district of Andhra Pradesh. Accompanied by wife Marshniel, son Rohan and former brother-in-law, India batsman Gundappa Viswanath, Gavaskar reached Puttaparthi Ashram from Bangalore and met with Sai Baba in the morning. Baba blessed Gavaskar, the first cricketer to score 10,000 runs in Test cricket, and expressed his good wishes. “I am extremely fortunate and happy that I celebrated by birthday here at Puttaparthi at Baba’s Ashram,” Gavaskar said after meeting Sai Baba. Known to be a devotee of Sathya Sai Baba, Gavaskar said he missed his fans on the occasion and thanked all of them for their greetings and good wishes. “What attracted me to Puttaparthi today was the presence of Baba and his teachings of peace and love,” he added. Sunil Manohar Gavaskar celebrates his 60th birthday today at the Sathya Sai Baba Ashram in Puttaparthi with his parents. In this tribute, his ‘nanamama’ former India wicketkeeper-batsman Madhav Mantri, talks about his legendary nephew. I am 88 and in the twilight of my life. But July 10, 1949 is a date I will remember till my death. It not only marked the day Sunil was born, but also ushered in a world of happiness for all of us. That he became a famous cricketer is another story altogether, but things could have been different. Sunil stayed in the maternity home with his mother for some days after his birth. His kaka (Narayan Masurkar) from Rajkot had come to see the baby. A day before he left, he paid a second visit to the hospital. He looked at the baby and suddenly asked my sister if she was sure it was her son. As a kid, Sunil was very fond of table tennis. During his stay at his Grant Road house, he would go to Proctor YMCA everyday. He was very athletic and enjoyed the sport. It was only after he joined St Xavier’s school that he began taking cricket seriously. He was in the junior team and that triggered his passion for the game. Moreover, his father was an active club cricketer and my sister would often play with him. Two years later, I found Sunil eagerly waiting for me in the verandah one day. His school team had won the Giles Shield. “Our school has presented us with a sweater and a cap,” he said. Sunil should have gone home to celebrate, but he waited to show me his cap. It was just the beginning of a long journey. Sunil is an avid reader and be it breakfast, lunch or dinner, he invariably has a book in one hand and eats with the other. Right from an early age, he read all types of books, including cricket books and autobiographies. But reading books alone didn’t gift him an impeccable technique. Whenever he found himself out of form (as an India player), he would come to Dadar Union club and practice for hours. I clearly remember he would call Mumbai pacer VS Patil and ask him to bowl at him in the nets. That boosted his confidence. Sometimes, when he struggled against any particular bowler, he would walk down and ask his partner at the non-striker’s end about his mistakes. So the other batsman had to be attentive. That’s how Sunil perfected his technique — by sheer hard work, dedication and relentless practice. When the Alvin Kallicharran-led West Indies came to India in 1978-79, Sunil played one of the gutsiest innings of his life. It had rained in Bombay the previous day and West Indies put India in at the Wankhede (in the first Test between December 1 and 6). Sunil opened with Chetan Chauhan. Sylvester Clarke was unleashed, but the Windies quickie failed to remove Sunil before the latter scripted a magnificent double century on the second day. The next morning, when I went to the dressing room to congratulate him, Sunil showed me a piece of paper. It was a letter from Vijay Merchant, who was commentating. He was so impressed by Sunil’s innings that he wrote a letter that night to be delivered to Sunil the next morning. None of us expected such a question. While we celebrated his double, he was brooding over that one miscued shot, though it took him to the 200-run mark. During the 1977-78 series against Australia, Sunil scored three centuries. The Australian media went gaga over him and dubbed him the most successful opener of his era. But Ian Chappell begged to differ. In an interview he said that Sunil was good but England opener Geoff Boycott was better. Reacting to Chappell’s comments, Don Bradman hit back saying that Chappell had forgotten both Gavaskar and Boycott were technically sound batsmen, but what elevated Sunil was his ability to score runs quickly as opposed to Boycott’s over-cautious approach. It was 1987 and Sunil was playing his last Test in Bangalore against Pakistan. The Chinnaswamy pitch was crumbling and the ball was turning viciously. But Sunil was steadfast and played a superb knock of 96 in the second innings before being dubiously given out. At the end of the match, Javed Miandad came to congratulate Sunil. The Pakistan batsman, Sunil later told me, said: “We abused you so much, tried to distract you, but you were not bothered. It was a great knock mate.” Sunil replied: “Though you won the match, I passed the test. And you are not getting a second chance.” That was Sunil for you.